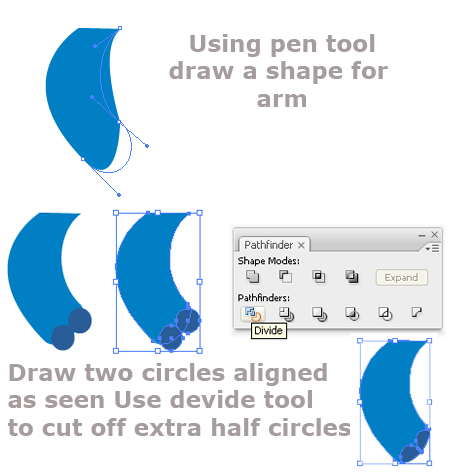 Using oval tool draw a simple oval shape . 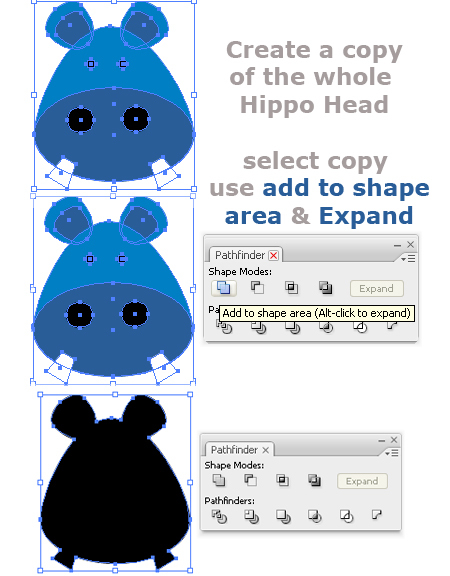 Use select ool to modify the shape and then place a copy of the oval shape over the modified oval shape. 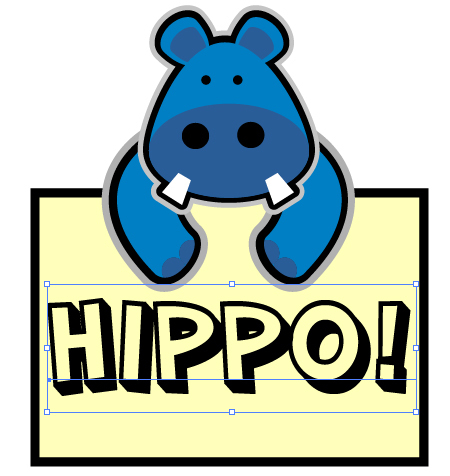 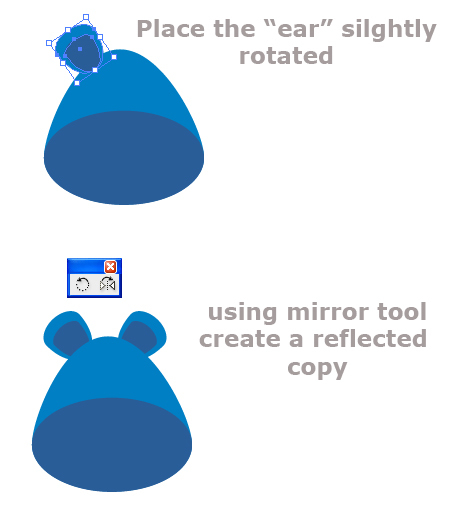 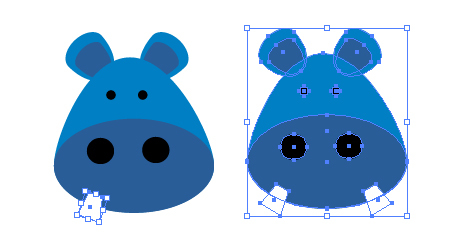 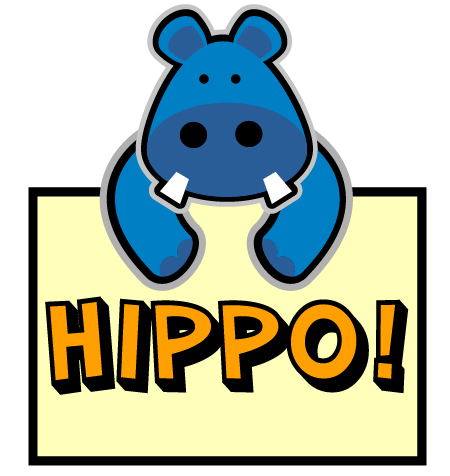 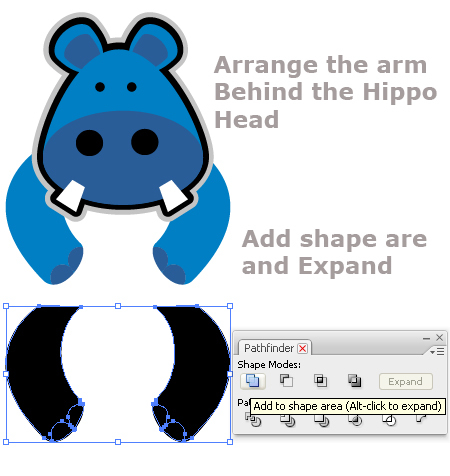 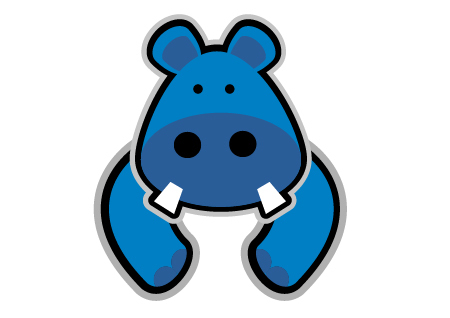 Create Ears for the Vector Character Hippo! 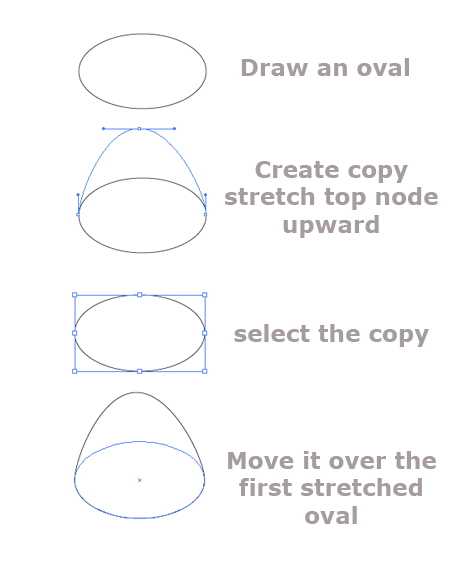 Start off by creating an oval , adjust the node to create a slightly elongated shape. 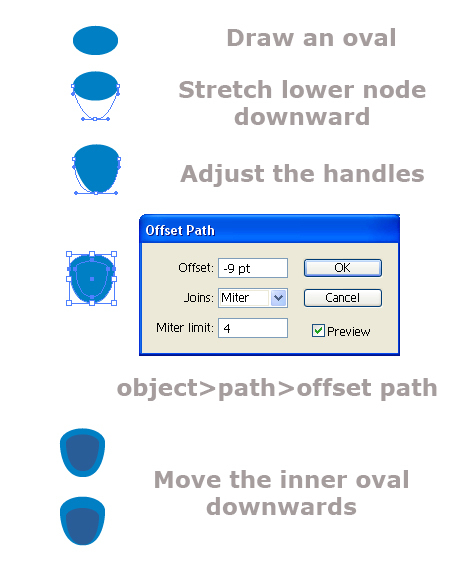 Use offset path to create a copy inside the first shape. 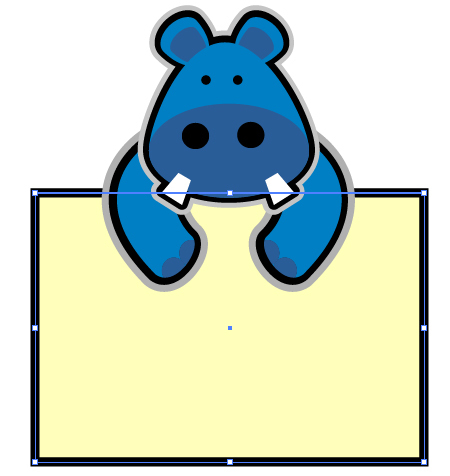 Create a rectangular shape to create a tooth and reflect the tooth to create a copy. 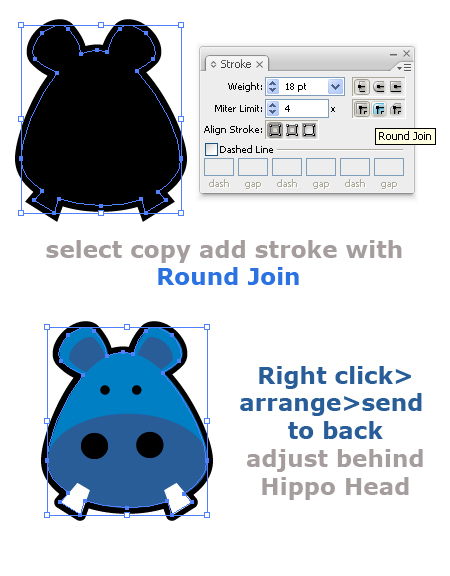 Create a black outline for the illustrated head reserve 2 copies. 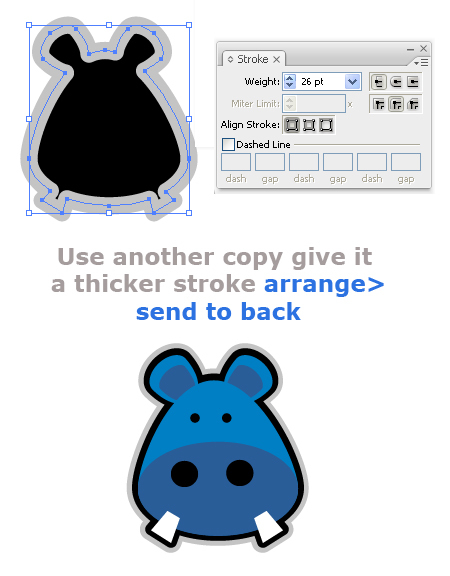 As you see in the final image there are a light grey outline to the illustration , use second copy of the expanded head and give it a grey stroke. 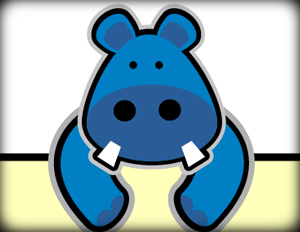 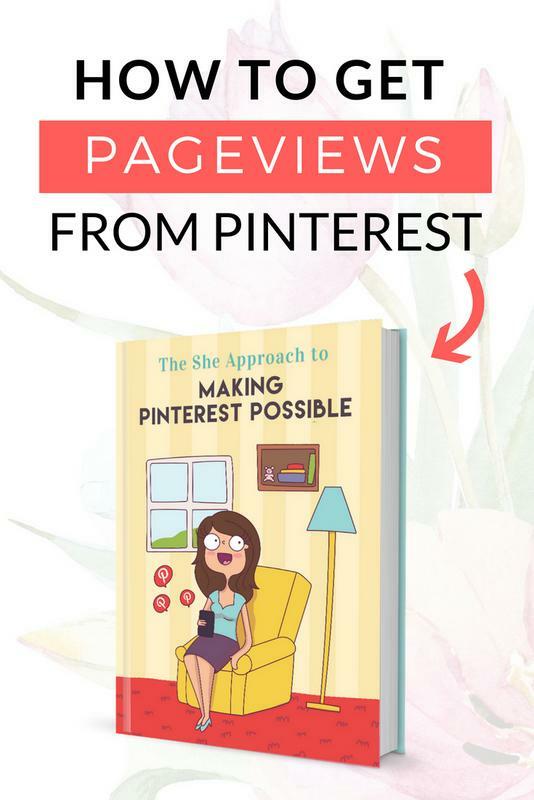 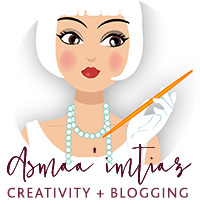 A rectangular shape was added behind the illustration of the character. 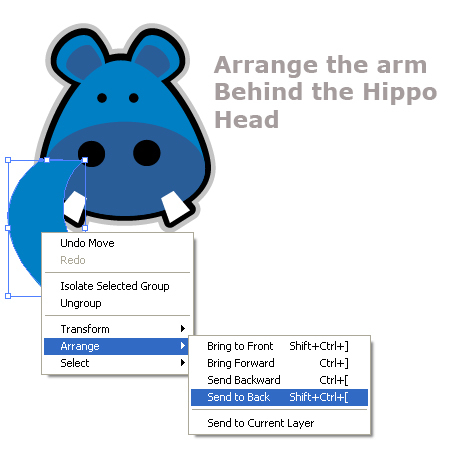 Right click the text and create outlines. 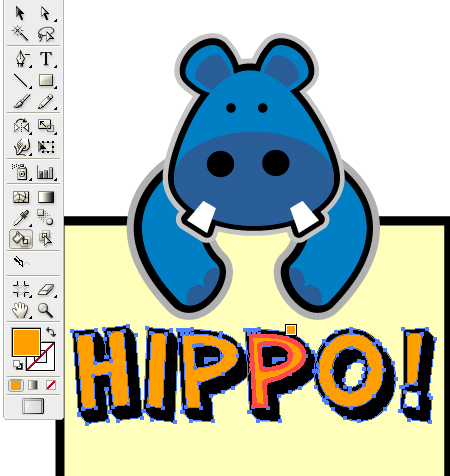 While selecting the text area use paint bucket to fill with color. 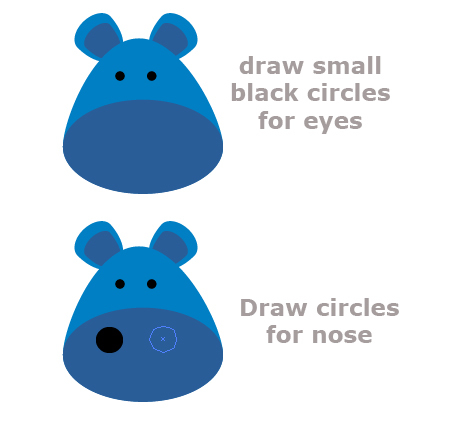 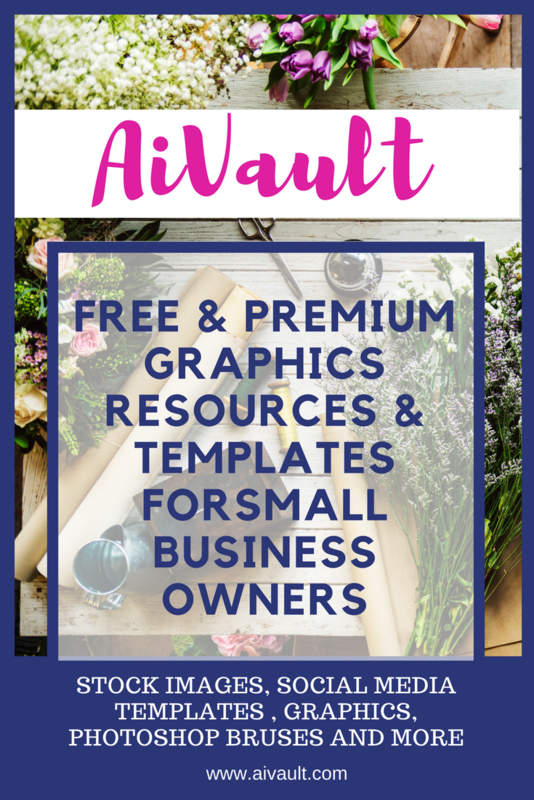 You May also like Some more Vector Basic Learning Tutorials!